The purpose of new teacher services is to improve student academic achievement and to reduce new teacher anxiety. To accomplish this purpose, it is our goal to help beginning, lateral entry, and experienced teachers new to our school system acquire the knowledge and skills necessary to experience a successful beginning in the Surry County School System. 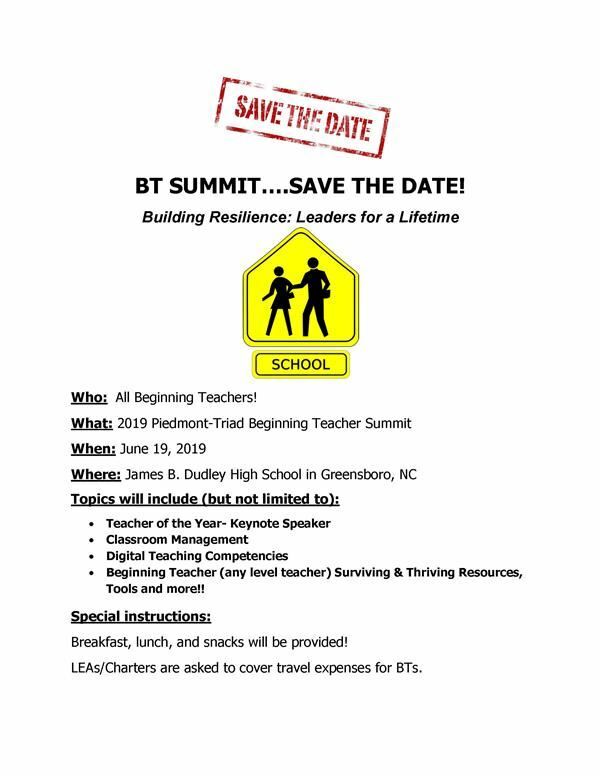 Topics will include (but not limited to): Teacher of the Year- Keynote Speaker | Classroom Management | Digital Teaching Competencies | Surviving & Thriving Resources, Tools and more! !